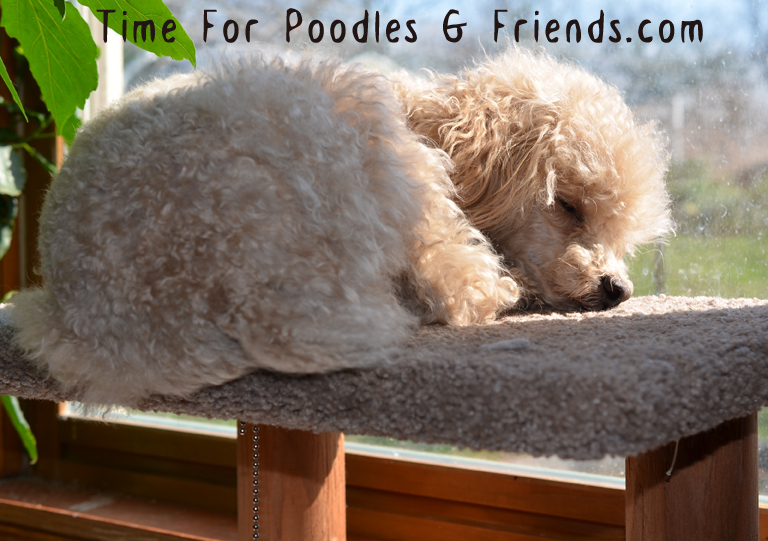 Time For Poodles And Friends: Wordless Wednesday-Oh, You Really Got This For The Cats? Wordless Wednesday-Oh, You Really Got This For The Cats? Awe you found a sunny snoozie spot! Woah, how'd you get up there!? Sunbeams are like doggy magnets. Happy WW! Great spot for a little sun bathing! You sure are a cutie! Awwwwwwww -- don't slide back! WOOF WOOF! Oodles of sweetness! .....sweet dreams! Getting all rested up for some fun play time?